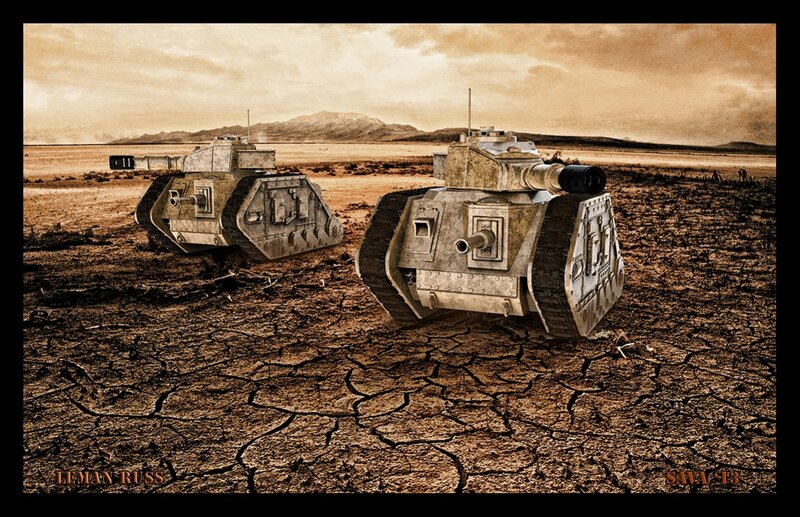 render is alright but unusually coloured, tanks are interesting and appear to be based on british world war 1 vehicles. Well, they are based on WWI tanks. These are from the Warhammer 40K universe and the terrains of planets are diverse to say the least. Nice work. Personally, I like the sepia tone. It gives it a nice "old photo" look. Are the mountains in the background and the sky rendered elements or from a photo?